Austin David Yount, 24, of Pleasant Hill, Missouri, was born, March 20, 1995, in Cleveland, Ohio, the son of David A. and Michele M. (Hickey) Yount. He departed this life, Wednesday, March 20, 2019. 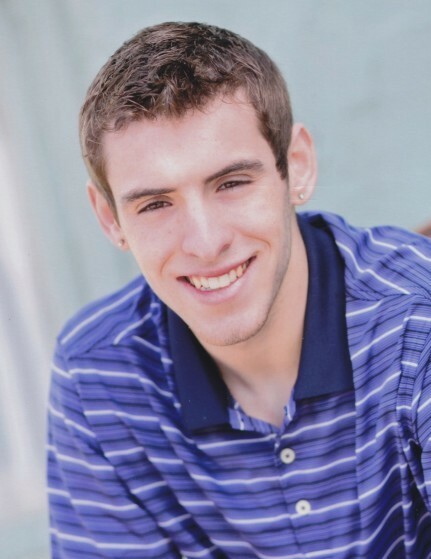 Austin graduated from Pleasant Hill High School in 2014. While in high school Austin excelled in football, basketball and track which earned him a scholarship at Central Christian College of Kansas. He was extremely gifted with an ability to pick up difficult tasks quickly. Austin worked as an electrician, lifeguard and construction worker, among other jobs. He loved studying Greek and Roman history and had a desire to travel and see the world. In his free time loved playing Xbox, especially Fornite and Rome Total War. Austin was gifted in working with dogs and spent many hours training his own faithful companion, Shadow. He had a zest for life and was always up for an adventure with friends. He enjoyed spending time outdoors and discovering the beauty of Colorado. He was creative in nature and as a young boy would make his way into the woods behind his home where he would emerge with items he found. Austin enjoyed spending time with his family, especially teasing his siblings. He particularly loved beating his family in games of Hearts and Scrabble, which he often did. Austin was a tender soul with a desire to help those in need. He spoke of one day traveling overseas to do mission work for Christ. Austin had faith in the Lord and a strong longing to help others. He had a compassionate heart and children often flocked to him for attention, which he gladly gave. He was never one to back down from a bully and would come to the defense of family, friends, and those who could not defend themselves. He was a beloved son, brother, and uncle and will be deeply missed by all who knew him. Austin was preceded in death by his maternal grandparents, Robert and Jayne (Fuller) Hickey. He is survived by his parents David and Michele Yount of Pleasant Hill; his brother, Christopher Camp; three sisters, Alycia Yount, Melissa (and David) Lyday and Jessica Yount; three nieces, Anielia, Sophia, and Eloise; paternal grandparents, David A. and Janice (Osterwise) Yount of Knob Noster, Missouri; other relatives and a host of many, many friends. Visitation was held Friday, March 29, 2019, at the Stanley-Dickey Funeral Home in Pleasant Hill, Missouri. Funeral services were held Saturday, March 30, 2019, at the Grace Family Fellowship Church, Pleasant Hill. Reverend Wyatt Shanks officiated. Pallbearers were John Brookshier, Christopher Camp, Sutton Crabtree, David Lyday, Josh Hastings, and Chase Dyer. Graveside services and interment were held Monday April 1, 2019, in the IOOF Cemetery, Craig Missouri.